On April 20, 2010, BP’s mobile offshore drilling unit Deepwater Horizon exploded, burned, and subsequently sank in the Gulf of Mexico 52 miles southeast of Venice, Louisiana. Eleven of the 126 workers on the rig were killed and, over the following 87 days, an estimated 3.19 million barrels (~134 million gallons) of oil spilled into the Gulf (4.0 million barrels minus 810,000 barrels of collected oil). 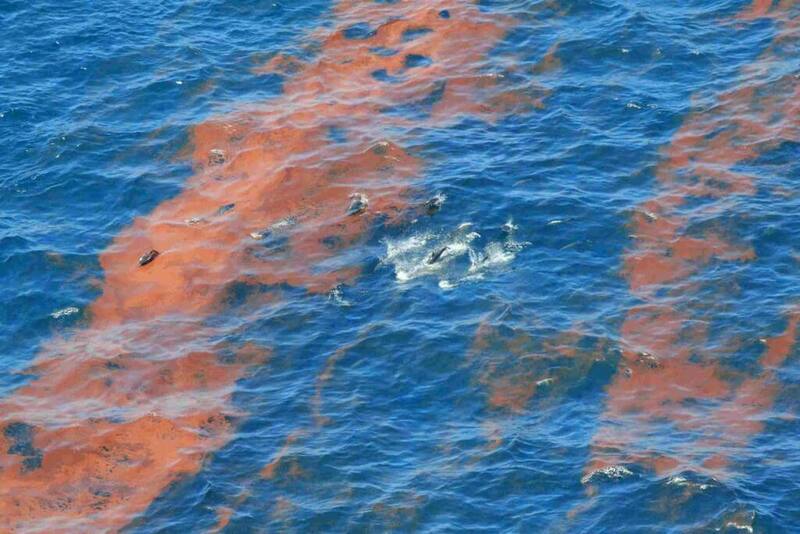 This was the largest oil spill ever reported in U.S. history. In comparison, the Exxon Valdez tanker spilled approximately 257,000 barrels (11 million gallons) of crude oil into Prince William Sound, Alaska, in 1989. Oil spill response efforts at the national and state level were led by a Unified Command established by the U.S. Coast Guard, in accordance with the National Oil and Hazardous Substances Pollution Contingency Plan (National Contingency Plan). The Unified Command structure was developed to ensure efficient and coordinated containment, dispersal, and removal of oil and hazardous substances while minimizing damage to the human and marine environment. Under the direction of the Unified Command, responders used both traditional and novel approaches to contain and recover the spilled oil. In the end, recovery efforts brought the final estimate of oil spilled down to 3.19 million barrels (134 million gallons). Responding to stranded or debilitated marine wildlife, especially to those that may have been exposed to oil, was a high priority during the days and months immediately following the Deepwater Horizon oil spill. Those efforts were guided by the Regional Area Contingency Plan for the Gulf and the draft Marine Mammal Oil Spill Response Guidelines, adapted for Gulf species, including cetaceans (whales and dolphins) and manatees. The Unified Command Wildlife Branch relied heavily on the existing stranding network in the Gulf to respond to stranded, distressed, and injured marine mammals, as those organizations already were federally authorized to conduct marine mammal response activities under the Marine Mammal Protection Act. Aerial surveys to assess the extent of oil contamination also provided a platform for opportunistic sightings of injured and dead marine mammals. The Commission’s 2010–2011 annual report (Chapter 3) provides more detailed information on both oil spill and wildlife response efforts immediately following the Deepwater Horizon explosion. In August 2011, the Commission released the report, Assessing the Long-term Effects of the BP Deepwater Horizon Oil Spill on Marine Mammals in the Gulf of Mexico: A Statement of Research Needs. The report outlined the legal mandates for assessing the spill’s overall effects and reviewed the likely impact of the spill on Gulf marine mammals. It characterized research efforts, highlighted the overall need to improve assessment and monitoring of marine mammals in the Gulf, and outlined priorities for future research and restoration efforts, stressing the importance of long-term monitoring studies of both individual marine mammals and marine mammal populations. Since then, the Commission has been working with scientists and managers across the Gulf to refine and promote recovery and restoration strategies for marine mammals. We have outlined our priorities for restoration and long-term monitoring, as well as concerns regarding potential impacts of some large-scale restoration projects on marine mammals, in letters (see letters section below) to the Deepwater Horizon Natural Resource Damage Assessment (NRDA) Trustees and the Gulf Coast Ecosystem Restoration Council. We have also submitted restoration project ideas to the Trustee Implementation Groups through the various federal and state portals. The development and refinement of scientifically robust mitigation and monitoring measures to minimize impacts of offshore oil and gas and renewable energy activities on marine mammals, including impacts from oil spills, was identified as a Strategic Objective in our 2015-2019 Strategic Plan. Identify potential funding sources/opportunities for marine mammal research and monitoring stemming from the Deepwater Horizon oil spill and other initiatives. View the meeting summary and copies of presentations. 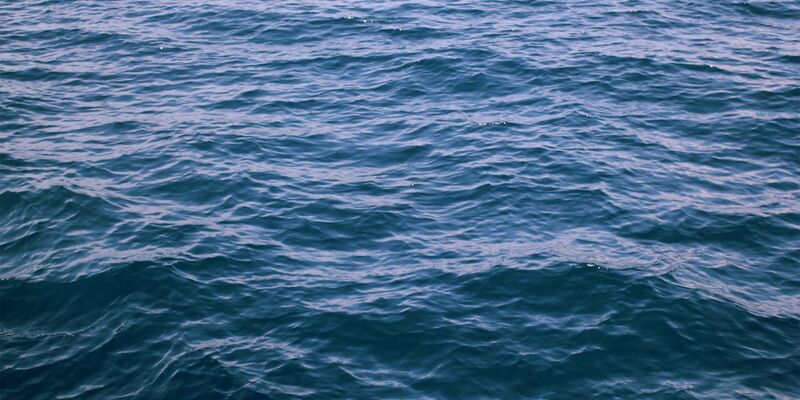 The Commission is currently working with the National Marine Fisheries Service (NMFS) and other federal partners to develop a marine mammal “action plan” that will outline priority research and monitoring needs for whales and dolphins in the Gulf. In parallel with response efforts, the National Oceanic and Atmospheric Administration (NOAA) and the other Deepwater Horizon Trustees initiated the Natural Resource Damage Assessment (NRDA) process, as directed by the Oil Pollution Act of 1990. NOAA regulations implementing the Oil Pollution Act specify three phases for conducting damage assessments: (1) pre-assessment, (2) injury assessment and restoration planning, and (3) restoration implementation (for more information, see the diagram of phases involved in a Natural Resource Damage Assessment under the Oil Pollution Act of 1990). The Trustees’ pre-assessment confirmed in 2010 that Gulf natural resources in state and federal waters had been damaged as a result of the spill. That determination initiated the next phase of the process: injury assessment and restoration planning. Aerial surveys to track changes in abundance and shifts in spatial distribution relative to baseline (pre-spill) conditions. Satellite and radio tracking of individual animals to assess movements, distribution, and preferred habitat. Analysis of samples from stranded animals and live-captured wild dolphins to determine potential exposure to oil or other contaminants and secondary effects of disease or contaminant exposure on health. Passive acoustic monitoring to determine the presence and movements of vocalizing animals. Prey sampling (albeit limited) to assess distribution and abundance as well as potential exposure to oil or other contaminants. Assessing oil spill-related impacts to marine mammals was complicated by the occurrence of a cetacean unusual mortality event in the northern Gulf that began before the spill occurred, in March 2010. An analysis of bottlenose dolphin stranding patterns before and after the spill indicated that strandings from March to May 2010 were likely associated with exposure to cold and freshwater in and around Lake Pontchartrain, Louisiana. However, the majority of increased marine mammal strandings in the northern Gulf from 2010 to 2015 overlapped in space and time with the oil spill footprint. In addition, NRDA-related studies documented a myriad of adverse health issues in stranded and live-captured dolphins found within the affected area, such as persistent reproductive failure, adrenal disease, lung disease, and poor body condition. Oil spill-related injuries, and guidance for restoring bottlenose dolphins and other injured marine mammals, are summarized in the Trustee’s Final Programmatic Damage Assessment and Restoration Plan (PDARP) and Final Programmatic Environmental Impact Statement, issued in February 2016. Many of those studies were compiled and published in a Special Issue of Endangered Species Research: Effects of the Deepwater Horizon oil spill on protected marine species (Volume 33, 2017). A comprehensive bibliography of both NRDA and independent Deepwater Horizon oil spill-related marine mammal research and monitoring can be found here. Consortium for Advanced Research on Marine Mammal Health Assessment (CARMMHA) – a team of marine mammal health scientists conducting cross-discipline research that includes veterinary assessments of managed animals, field assessments with wild populations, and integrative statistical modeling. The Littoral Acoustic Demonstration Center – Gulf Ecological Monitoring and Modeling (LADC-GEMM) – a multidisciplinary consortium effort led by N. Sidorovskaia, University of Louisiana, which uses expertise from marine acoustics, biology, physics, engineering, mathematics, and computational predictive modeling. Investigation of Mechanisms for Reproductive Failure in the Aftermath of the Deepwater Horizon Oil Spill to Understand Population Recovery Scenarios for Cetaceans – a research project led by C.R. 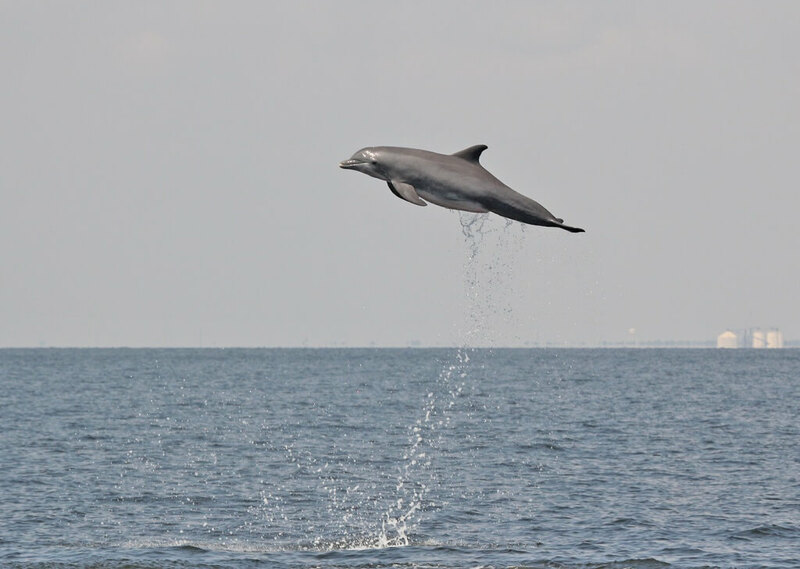 Smith, National Marine Mammal Foundation, to adapt and test cutting edge medical technologies for evaluating potential reproductive system disorders and then integrate those technologies for dolphin capture-release field studies in Barataria Bay. Center for Integrated Modeling and Analysis of Gulf Ecosystems (C-IMAGE), Task 4: Environmental Impacts on Marine Mammals (as identified by passive acoustic monitoring) – led by S. Murawski, University of South Florida, in collaboration with J. Hildebrand and K. Frasier, Scripps Institution of Oceanography. Impacts of the 2010 Deep Water Horizon Oil Spill on Estuarine Bottlenose Dolphin Populations in the West Florida Panhandle – led by G. Worthy, University of Central Florida. In April 2016, the U.S. District Court in New Orleans approved a settlement agreement with BP on all natural resource damage assessment claims under the Oil Pollution Act. That settlement agreement would make available $8.8 billion (which included $1 billion already allocated for early restoration) to fund restoration and improvement projects, as designated by the Trustees in its programmatic restoration plan. The Trustee’s 2016 restoration plan allocated funding to thirteen restoration types, including marine mammals, and across seven restoration areas: Alabama, Florida, Louisiana, Mississippi, Texas, regionwide, and open ocean. Additional funds are reserved for natural resource conditions and adaptive management needs that may be identified in the future. The Trustees allocated $144 million in total funding for marine mammal restoration. Funds were allocated by area as follows: Alabama ($5M), Florida ($5M), Louisiana ($50M), Mississippi ($10M), Regionwide ($19M), and Open Ocean ($55M); Texas did not receive funding for marine mammal restoration. Reducing commercial fishery bycatch through collaborative partnerships. Reducing injury and mortality of bottlenose dolphins from hook and line fishing gear. Increasing marine mammal survival through better understanding of causes of illness and death and early detection and intervention of anthropogenic and natural threats. Measuring noise to improve knowledge and reduce impacts of anthropogenic noise on marine mammals. Reducing injury, harm, and mortality to bottlenose dolphins by reducing illegal feeding and harassment activities. Reducing marine mammal takes through enhanced state enforcement of the Marine Mammal Protection Act (MMPA). Reducing injury and mortality of marine mammals from vessel collisions. Protecting and conserving marine, coastal, estuarine, and riparian habitats. The proposed restoration approaches are focused on restoration of marine mammal stocks determined to have been directly or indirectly impacted by the spill, particularly bottlenose dolphins, with some activities (e.g., gaining a better understanding of the causes of illness and mortality) expected to also benefit other marine mammal stocks outside the oil spill direct-impact area. Trustee Implementation Groups (TIGs) have been established for each of the seven restoration areas and are charged with developing restoration plans that identify specific projects for marine mammals and other restoration types, in accordance with the Trustees’ Strategic Framework for Marine Mammal Restoration Activities. Public input on restoration project ideas is welcome. More information on the development of project-specific restoration plans, including opportunities for public input, can be found on the Trustee’s website. 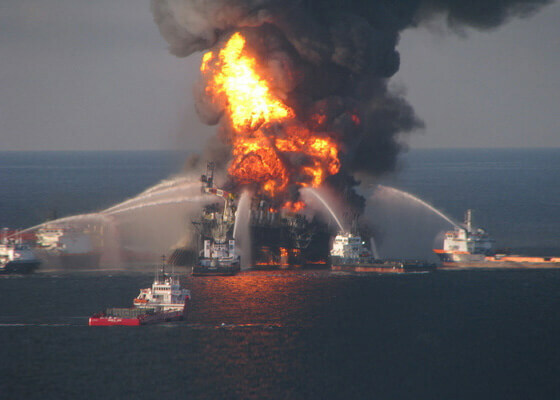 Under the Oil Pollution Act, BP and the other parties responsible for the Deepwater Horizon oil spill are liable for costs associated with the removal of oil (i.e., clean-up costs) and for damages to natural resources and services caused by the spill, including the costs of assessing those damages. The responsible parties are also subject to civil and criminal monetary penalties under the Clean Water Act, which must be deposited in the Oil Spill Liability Trust Fund to be used for future oil spill clean-up activities. Those funds are not available for addressing damages caused by the Deepwater Horizon spill or for restoration activities. In June 2012, Congress passed the Resources and Ecosystems Sustainability, Tourist Opportunities, and Revived Economies of the Gulf Coast States (RESTORE) Act of 2012. The RESTORE Act directed the Secretary of the Treasury to deposit 80 percent of Clean Water Act administrative and civil penalties paid by the parties responsible for the Deepwater Horizon oil spill into the Gulf Coast Ecosystem Restoration Trust Fund. The Trust Fund is being used to fund restoration of natural resources and economic recovery in the Gulf Coast region. The total available for RESTORE Act projects in the Trust Fund is approximately $5.328 billion. The allocation of the Trust Fund has five components. Two of the five components are being allocated directly to the Gulf states through equal-share (35%) and impact-based (30%) allocations. The other three components are being allocated to the Gulf Coast Ecosystem Restoration Council (30%), the NOAA-led Restoration, Science, Observation, Monitoring, and Technology Program (also known as the NOAA RESTORE Act Science Program) (2.5%), and the State Centers of Excellence Research Grant Program (2.5%). The Gulf Coast Ecosystem Restoration Council implements ecosystem restoration projects in accordance with its Comprehensive Plan and associated Funded Priorities List. The NOAA Restore Act Science Program carries out research, observation, and monitoring to support the long-term sustainability of the Gulf ecosystem, as outlined in its Science Plan and implemented through periodic funding opportunities. The NOAA RESTORE Act Science Program awarded two grants in 2017 for marine mammal-related projects: a study of trophic interactions and habitat requirements of Bryde’s whales, and the development of remotely-deployed satellite tags for tracking bottlenose dolphin movements. The State Centers of Excellence Research Grant Program is administered through RESTORE Act-designated entities for each Gulf state. Each state entity (Alabama, Florida, Louisiana, Mississippi, and Texas) has established (or will establish) Centers of Excellence within their state with expertise in coastal restoration, ecosystem research and monitoring, offshore energy development, sustainable growth, mapping, and other related disciplines as specified in the RESTORE Act. Additionally, $2.544 billion in Clean Water Act criminal penalties was provided to the National Fish and Wildlife Foundation (NFWF), establishing its Gulf Environmental Benefit Fund, and $350 million was provided to the National Academies of Sciences, Engineering, and Medicine (NASEM), establishing its Gulf Research Program. These funds are to be dispersed in grants to complement and expand Gulf restoration efforts. 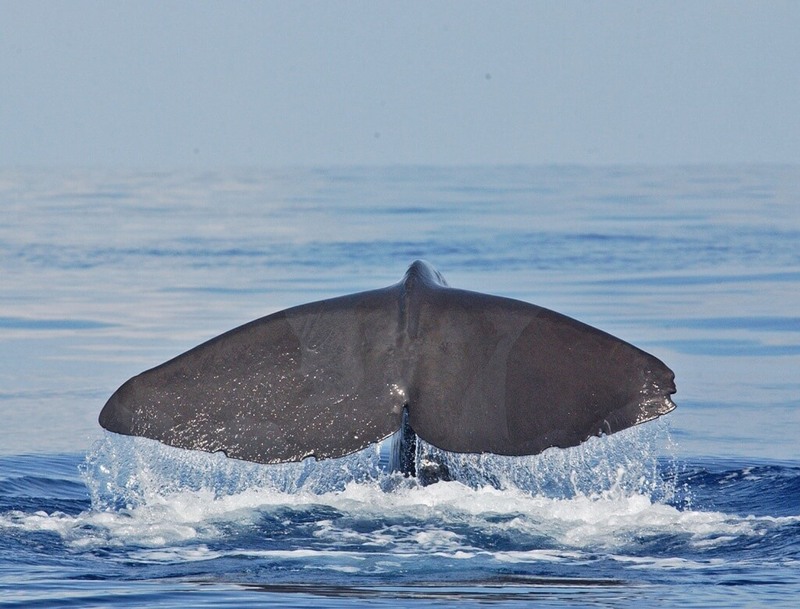 To date, the NFWF Gulf Environmental Benefit Fund has awarded grants to Alabama, Florida, and Mississippi to increase research, data collection, and stranding response capacity for Gulf marine mammals and sea turtles. The NASEM Gulf Research Program asked the Academies’ Ocean Studies Board to convene a committee to advise restoration funding programs regarding monitoring and evaluation of Gulf restoration activities and identify best practices. The committee provided its guidance for restoration, assessment, and synthesis in its report on Effective Monitoring to Evaluate Ecological Restoration in the Gulf of Mexico. Environmental characterization and project planning data for the Gulf of Mexico and other regions are now available through NOAA’s Data Integration Visualization Exploration and Reporting (DIVER) Explorer. In addition, NOAA’s Environmental Response Management Application (ERMA) is an online geographic information system (GIS) and visualization tool that allows users to view response, assessment, and restoration mapping layers in context with other environmental information. The Gulf of Mexico Alliance (GOMA) is a partnership of the five Gulf states and other organizations whose goal is to increase regional collaboration to enhance the environmental and economic health of the Gulf. GOMA has developed the Deepwater Horizon Project Tracker as a tool to track restoration, research, and recovery projects resulting from the Deepwater Horizon oil spill. The Environmental Law Institute’s Gulf Restoration and Recovery website provides a summary of ongoing oil spill-related research and restoration efforts. BP’s Gulf Science Data website is a collection of publicly available datasets on Gulf-related scientific research. The Gulf of Mexico Coastal Ocean Observing System (GCOOS) provides observational data, models, and products for a wide variety of users in the Gulf region, and is integrated with other regional coastal ocean observing systems to create an integrated and sustained U.S. component of the global ocean observing system. Letter to the U.S. Fish & Wildlife Service/Florida Trustee Implementation Group on its Draft Restoration Plan 1 and Environmental Assessment on habitat projects, nutrient reduction, water quality, and recreational opportunities.